If there’s a theme for this newsletter, it’s this: companies need to be honest with you. Whether it’s deceptive pricing, shady buy-one-get-one deals, or more serious issues related to defective medical devices, laws exist to protect you, the consumer, and to hold businesses accountable when they act illegally. That’s what unites OkCupid’s “dead” dating accounts and C.R. Bard’s problematic hernia mesh: the power of the people coming together to take legal action. Laws are one thing, but enforcing them is another. That’s where you come in – so read on, and remember you can always get in touch through our website. Nordstrom, Shell "Debit" Cards Not What They Seem? If you signed up for a debit card with Nordstrom or Shell, you may have been misled about the nature of these “debit” cards. Attorneys working with ClassAction.org suspect that, despite the name, some store cards don’t act as proper debit cards. How so, you ask? 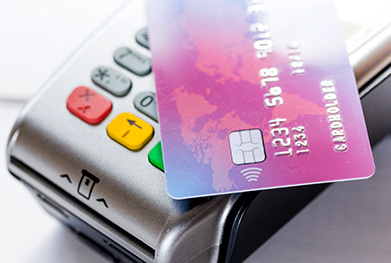 It is believed that purchases made with these cards can take several days to process and that the unexpected delay can result in multiple fees – often from both the customer's bank and the store. Debit cards, by nature, work by offering an immediate withdrawal of funds, making it easier for you to track your purchases and less likely you’ll overspend. If Nordstrom and Shell are delaying the processing of their transactions, they may be treating their own cards as something entirely different than traditional debit cards. Target has already been hit with a class action lawsuit over the issue – and now attorneys are looking into whether Nordstrom and Shell customers may have been misled when signing up for their debit cards. Have you been hit with overdraft or returned payment fees because your “debit” purchases took days to go through? We want to hear about it. Dozens of lawsuits are being filed across the country against hernia mesh manufacturers, alleging the companies designed and released defective products that can lead to dangerous complications and severe pain after surgery. Attorneys working with ClassAction.org are now looking to speak with patients who experienced problems following hernia mesh surgery, including infection, migration of the mesh or perforations in nearby tissues or organs. According to recently filed suits, manufacturers including C. R. Bard and Ethicon changed the design of a mesh prototype that has been in use for decades, but failed to properly warn patients and doctors about possible side effects associated with their “new and improved” products. Because the companies allegedly didn’t issue proper warnings, they may be liable for the cost of revision surgeries, doctors’ visits, time off work, and compensation for patients’ physical pain and mental anguish. In the case of one C. R. Bard product, reports suggest the company knowingly used a plastic in the mesh that is completely unsuitable for implantation in the human body. Find out more about these allegations and the injuries linked to hernia mesh products by reading this page. Attorneys working with ClassAction.org are reopening their investigation into the diabetes drug Invokana over concerns that the medication is linked to serious health problems. There is reason to believe that the maker, Janssen Pharmaceuticals, allowed a drug with a serious design defect onto the market – and failed to include proper warnings about its dangers and side effects. One study, required by the FDA, found that Invokana users had a 690% greater risk of cardiovascular damage. Furthermore, the agency warned that drugs like Invokana can cause a condition called ketoacidosis – in which the body creates too much acid in the blood, possibly leading to diabetic coma and death. Other reported side effects of Invokana include heart attack, cardiovascular failure, kidney failure and stroke. If you or a loved one had health problems after taking Invokana, a lawsuit may be able to help you seek compensation for medical bills, lost wages, funeral expenses, pain and suffering, and other related costs. Read more. Recent court rulings have strengthened the claim that fire captains and fire investigators are, in fact, eligible for overtime pay. In mid-2016, a Virginia appeals court ruled that fire captains/investigators are entitled to overtime pay even though they are high-rank employees, who are usually exempt from overtime wages under the Fair Labor Standards Act. This issue is still a bit of a gray area, though – so we’ve created a page to help you learn more about whether you could file a lawsuit and collect up to three years of unpaid overtime wages. Read on. Medical Insurance Case Managers: Are They Owed Overtime? A number of companies have been sued in the last few years for allegedly misclassifying their insurance case workers as ineligible to receive overtime pay – but after several rulings, it’s becoming clear that medical insurance managers should be paid time-and-a-half wages when working extra hours. Why, you ask? Because courts are seemingly deciding that the workers are NOT exempt from the FLSA’s overtime wage requirements. Essentially, companies allegedly have been misclassifying these managers as “administrative” and “learned professionals” – who typically aren’t entitled to overtime pay. The criteria of these classifications, though, are very specific and often do not match the reality of medical insurance case managers’ roles. If you think you should be getting overtime and you’re not, a lawsuit could help you recover your unpaid wages and force the company to change its policies going forward. Read more. “Buy One Get One Free” seems like a pretty good deal – but a class action lawsuit filed in Maryland claims that Burger King is having it their own way by raising the price of their Croissan’wich when sold as part of a buy one get one coupon promotion. The suit, which covers Maryland, Virginia, and Washington D.C., alleges that rather than one item at the regular price, accompanied by the free item, customers are unknowingly being charged an inflated price when they use their coupon for their Croissan’wich. This, the suit says, constitutes a breach of contract and violation of consumer protection laws. Read more. A proposed class action lawsuit in California claims that Hobby Lobby regularly sells its branded and trademarked items at intentionally deceptive prices, claiming the items are on sale when, in fact, they were never sold at their original marked price. According to the suit, the store’s “original” prices are intended to induce customers to buy items at the “reduced” rate – despite the fact that the reduced price is not really a saving, and Hobby Lobby always intended to sell its products at that price. Thus, the suit says, the pricing is fraudulent and aims to deceive customers by appealing to their belief that they’re getting a bargain. Crafty, or what? Read on. A proposed class action lawsuit in Illinois claims that popular dating site OkCupid uses false and dead accounts to entice customers to sign up for its paid “A-list” service. The plaintiff alleges that he upgraded his free account after a number of other profiles “liked” him – as a paid account was needed to see their identities. According to the suit, “[…] most if not all of these people were associated with inactive or ‘dead’ accounts,” and even when contacted, OkCupid offered only a uniform explanation, leading the plaintiff to suspect it was actually a deliberate policy. You can read the full story on our site. J&J have been hit with their largest verdict to date in the ongoing litigation over the company’s talcum powder and its alleged link to ovarian cancer, with a jury in Missouri awarding $110 million to a woman after a 17-day trial. The plaintiff claimed she developed ovarian cancer after using J&J’s baby powder and Shower-to-Shower products every day for more than 40 years. J&J already plans to appeal, pointing to two recent victories in court as evidence that there is still no proven link between its talcum powder and an increased risk of ovarian cancer.